Dr. Siva Arunasalam M.D. PhD. Who Can Benefit from Arginine, Citrulline and Nitric Oxide Boosting? ........  You, your family, your friends, your clients, athletes. In fact, everybody! The movies by 4 brilliant doctors and researchers will give you some very important insights into the use of L-Arginine, L-Citrulline and Nitric Oxide in the treatment, prevention and reversal of Cardiovascular disease and Atherosclerosis throughout the body, as well as preventing heart attacks, strokes, diabetic gangrene and neuropathy. The treatment also has a profoundly beneficial effect with many other conditions including Diabetes, Kidney disease, improves response to Cancer Treatments as well as speeding the recovery of those who have suffered Heart Attacks or Strokes and will greatly reduce the likelihood of a recurrence. In 1998 the Nobel Prize in Medicine was awarded to Dr Louis Ignarro together with Dr Robert Furchgott and Dr Ferid Murad for their discoveries relating to L Arginine, L Citrulline, Nitric Oxide cell signalling and Cardiovascular disease. 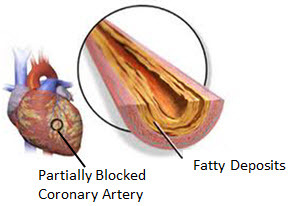 There has been continued research and development of the treatment cardiovascular disease using L Arginine, L Citrulline and Nitric Oxide boosting since 1998 to such a degree that it is now possible to reverse even extremely serious and advanced congestive heart failure and pulmonary hypertension. Studies conducted at the High Desert Heart Institute in the USA by Dr Siva Arunsalam on 39 seriously ill heart patients have shown amazing results - Watch his movies to see the full story. In 1996 while on a lecture tour, I awoke at 2 am in the morning with feelings of anxiety, my pulse was racing and my heart was pounding in my chest. I thought I was having a panic attack. At 7 am I set out to go to Perth airport as I was due to fly out from Perth to Adelaide that morning to continue my lecture tour. In the meantime my fast heart rate and pounding feeling in my chest continued. Finally at Pert airport, I realised that it was not anxiety or a panic attack but my heart had major rhythm problems. I caught a cab to the Perth Hospital where I was diagnosed as having Atrial Fibrillation. This is a condition where the small chambers on top of the heart (the atria) were beating so fast they were unable to pump blood and were just fluttering (at 320 beats per minute in my case). The big chambers underneath (the ventricles) were beating much faster than normal (160-180 beats per minute in my case) and with a very erratic rhythm. I spent 4 days in hospital waiting for my heart to drop back into normal sinus rhythm before being allowed to fly back to Brisbane. I was also placed on a heart medication to stabilise the heart rhythm. Over the years since, I have had another 7 episodes of Atrial Fibrillation requiring hospitalisation for a few days each time. As the years went by I found I was getting the episodes more frequently and during the day or when sitting down after running around I was noticing skipped beats and palpitations. I was told by the cardiologist that this was common with people who had Atrial Fibrillation as you got older and that I may have to eventually have surgery to help the problem or possibly have a pacemaker fitted. This was scary stuff and I intensified my search for another and less drastic solution. I found out about the Nitric Oxide Story 6 months ago and also came across research which showed that you can use Arginine and Citrulline together with another amino acid, Taurine to normalise heart rhythm in people who had problems with Atrial Fibrillation. So full of hope I started on the program. Almost immediately my heart rhythm stabilised and has remained so ever since. No more palpitations, skipped beats and anxiety. The difference is absolutely amazing. Theories and research are fine but there is nothing like personal experience to make you realise what has been shown in the years of research on Arginine, Citrulline and Nitric Oxide is real, factual and actually works. There is no real science behind the theories that nutrients can be used successfully in the treatment of serious diseases. There have been no double blind, placebo-controlled studies supporting such claims etc. etc. Such claims made by medical professionals untrained in nutrition and nutritional biochemistry are Uninformed and Misleading.  The average medical professional spends approximately only 2 weeks learning about nutrition out of many years of study for their medical degrees and post-graduate qualifications.  The average naturopath spends 4 years completing a university degree that includes anatomy, physiology, diet and lifestyle therapies, nutritional medicine, herbal medicine and nutritional biochemistry.  However, the good news is that many more doctors are studying nutritional medicine post graduate to their medical degrees. These doctors are practicing integrative medicine that combines both traditional western medicine plus nutrition and nutritional biochemistry in their practices. 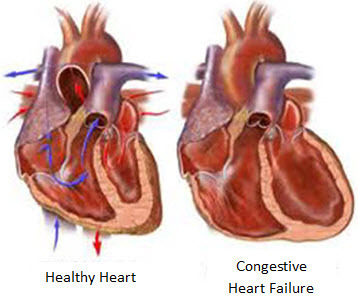  The very successful approach proposed here in the treatment of heart and circulatory diseases is supported by no less than the Nobel Prize in Medicine that was presented to 3 medical researchers way back in 1998 !  Out of the thousands of high quality medical studies and research projects that are conducted each year around the world, only one is judged to be of such importance to the health of mankind that the Nobel Prize is awarded to the scientists conducting the research.  So as far as scientific validation goes ... It doesn't get any better than the Nobel Prize !! The Movies Presented Here will take you on an Amazing Journey of Discovery and Hope.